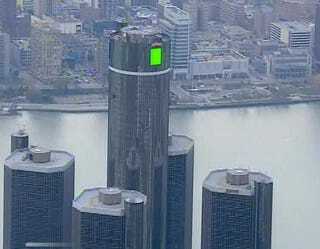 General Motors has been upgrading the blue corporate logo on its Detroit Renaissance Center headquarters in recent weeks to a more dynamic format with a video screen. Flashy, and easily adaptable for when GM's bought by China. [WXYZ].